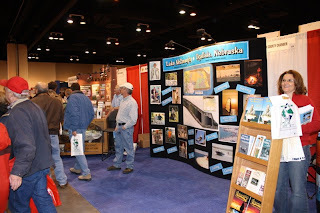 Orla and her crew at the Ogallala booth is kept busy letting people know that, YES there is water in lake McConaughay. They have a front row seat for the casting demonstration that is held on the huge fish tank several times a day. 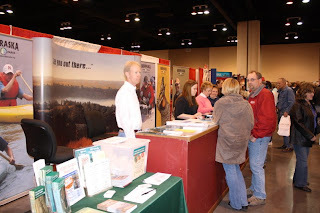 The friendly staff at the Nebraska Game and Parks Commission booth will tell you all about the hunting and fishing opportunities across Nebraska. Of course, when you bring out the camera, people want to ham it up! 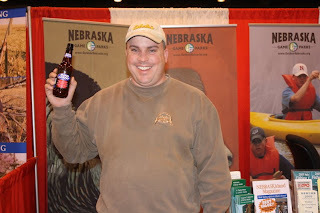 This guy wanted to pose with his brewskie in front of the NGPC banners! It's about the only time you can drink on NGPC property! Now this one is something I didn't know about. 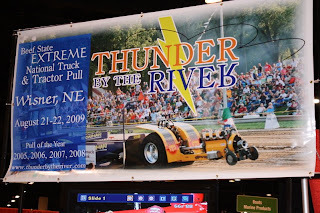 The Beef State EXTREME National Truck and Tractor pull in Wisner. Sounds like a lot of fun. 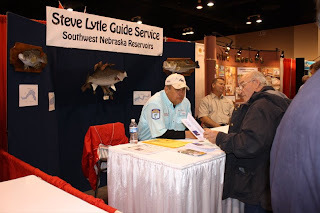 Steve Lytle can show you where the best fishing and hunting is in southwest Nebraska. I'd put a link up, but I can't find one. I'm sure if you're interested and determined, you can get in touch with him. Outdoor adventures in Burchard, Nebraska. See, they're everywhere! 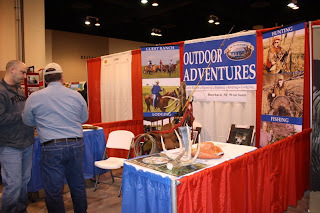 Big Blue Ranch in Burchard offers many different adventures. Want to camp in Nebraska? 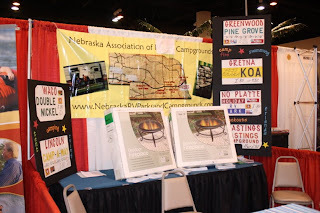 The Nebraska Association of Campgrounds can help you find just the right spot. After another long day, it was time for a delicious Italian dinner at Vivace. Then an evening of Blues at Downtown Blues. 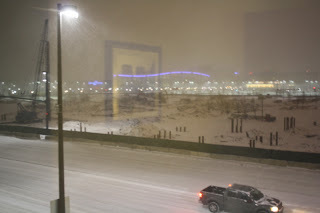 This was the view out the window of our hotel room at about midnight. Looks like about 4 inches of snow. Thanks for stopping by. There's coffee in the hotel lobby!